What Makes Mulberry Leaf Herbs Unique? Tracing its roots from ancient times as an herbal medicine, the leaves of mulberry tea are widely cultivated today and enjoyed by many throughout the globe. There are about 10-16 species of the Mulberry tree, a deciduous flowering fruit which belongs to the Moreaceae family. A record of more than 3,000 years show that the ancient Chinese utilized it for raising silkworms by giving leaves as food, papermaking, and enhancing the flavor of meals. It provided a natural remedy for ailments with its medicinal properties like dealing with hair loss and working as an antibiotic. Mulberries continue to gain popularity with the goodness it brings. Its leaves have quite a number of benefits and various uses such as for weight loss, treating medical conditions like diabetes, high blood pressure; helps fight cholesterol and relieve colds. What makes Mulberry leaves unique? Mulberry leaf herbs contain a myriad of vitamins and minerals essential to an individual’s optimal health. It is comprised of a substantial amount of nutrition with the substances and extracts it holds such as carotenoids, amino acids, flavonoids, beta-carotene, GABA-1, zinc, chlorophyll, phytosterol, Vitamins A, C, B1, B2, and B6. Mulberry is indeed fortified nutrients and rich in fiber too. The naturally occurring compound it contains, the 1-deoxynojirimycin, or DNJ, is responsible for the many good effects of mulberry. This amazing active ingredient can only be found in the mulberry leaf, serving the purpose of inhibiting an enzyme in the intestinal tract for proper digestion of carbohydrates. The DNJ or also called as moranoline, prevents these carbohydrates, along with starches, sucrose and maltose from breaking down into glucose. Therefore, this disables sugar from entering into your bloodstream and block its adverse effects on your wellness. The leaves contain calcium in a multifold of what green tea, milk, and cabbage has, and much more iron than what you can get from spinach. It also has potassium and magnesium, and is proven an excellent source of protein. These outstanding qualities make mulberry interesting and highly beneficial to you. What can you get out of Mulberry leaves? The great health benefits Mulberry provides are countless. Mulberry leaves transformed into tea may help reduce inflammation, lower cholesterol and triglycerides, and holds potent antioxidants. It also has antidiabetic effects as it lowers the levels of blood glucose with its gallic acid composition and blood sugar is controlled with the help of DNJ. Blood pressure levels are maintained, the risk of liver cancer is lowered as it is prevented, as well as other cancers and eye disease. Mulberry leaves support the heart and improve overall vascular health of an individual. It also benefits the largest organ of the body, your skin, and promotes better muscle tone and a stronger immune system. Digestive, muscular, and nerve functions are enhanced. The liver and kidney are given aid towards functioning properly. 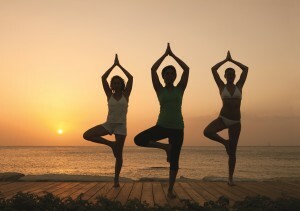 Your entire health is given a boost, hence, illnesses are avoided. These are only a few of the advantages mulberry leaves bring that will allow you to be in your best shape and have the highest quality of life you deserve. Mulberry leaf capsules has been used in traditionally by Chinese and Ayurveda medicine for centuries. However, in recent years, this capsule has gained the attention of the public due to its health benefits specifically in regulating carbohydrates and glucoses metabolisms. 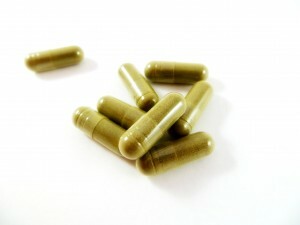 This capsule also has some components that have shown to have anti-cancer benefits. So does mulberry leaf capsules really work? Moreover, if so then what are its benefits and does it have some side effects? In this article we are going to review this capsule to help you know what is it all about so that you make an informed decision on whether to use it or not. 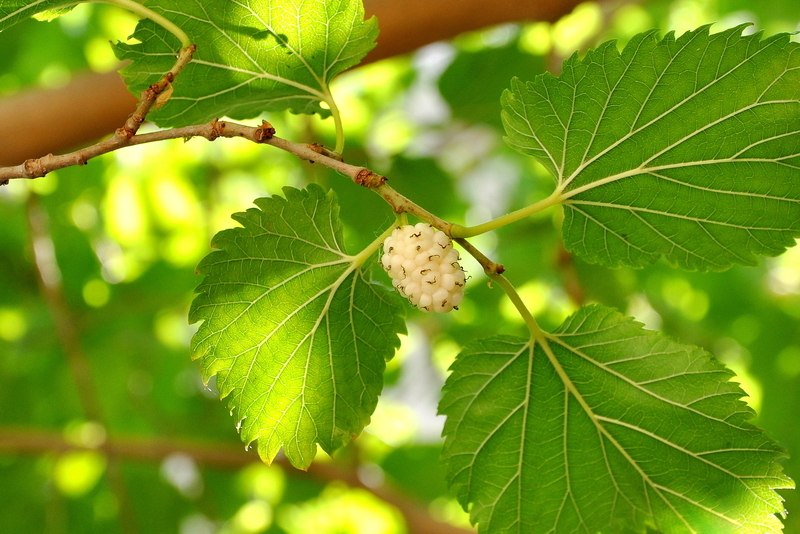 What is mulberry leaf capsule? Mulberry leaf capsule is actually a capsule that comes from a medium sized shrub that has been used for centuries by Chinese and Indians to treat diseases such as blood pressure and diabetes. Scientific studies that has been conducted on this natural herb have confirmed that indeed it has some health benefits. The chemical present in mulberry leaf capsule helps in breaking sugar component of the gut so that it can easily be absorbed in the body. Because of this reason, this capsules is used for treating type 2 diabetes. This capsule also contains antibacterial, antioxidants properties that helps to treat inflammation and other health conditions such as arthritis. Used in diabetes treatment. Several clinical studies that have been conducted on this supplements have found out that it has some ingredient that helps in treatment of diabetes. The leaves of the herb that this capsule is derived from can help lower blood sugar level in type 2 diabetes. Traditionally the Chinese people use the root of mulberry herb to treat diabetes. The mulberry herb has been studies extensively in virtuous laboratories using chronic diabetic rats. In fact, a study reviled that taking this capsule for a period of 4 weeks can help reduce blood sugar from rising. Help to lower cholesterol level. In a study conducted, it was observed that this supplement can help reduce LDL cholesterol level by up to 23%. The study also found out that this supplement could also increase the HDL levels by 18%. Another study showed that this capsule can help to restore vascular reactivity in animals. Allergic reactions. Some people who have used this supplements has reported to have experienced allergic reactions specifically skin irritation. Other types of allergic reaction that people have reported include swelling, hives and wheezing. Kidney issues. Mulberry leaf capsules are rich in potassium. People with kidney problems often have excess potassium in their bodies. Therefore, this supplement is not recommend for people who are suffering from kidney related problems because it may cause more complications. Liver issues. It is not yet clear as to whether mulberry leaf capsules can protect or destroy the liver cells. However, a study conducted by an independent institution found out that frequent use of this capsule can cause liver damage. In conclusion, as discussed above, mulberry leaf capsules has both its pros and cons. Before you use these capsules, ensure that you consult your doctor first so as to be sure as to whether the capsules will help you or not. The mulberry tree, which grows in some parts of Asia such as China, Korea and Thailand, is widely acclaimed for offering quite a large number of health benefits. This especially true of its leaves, which have for a long time been used in traditional Chinese medicine in the treatment of a wide variety of health challenges. In our contemporary world, the tea derived from fresh mulberry leaves has been subjected to extensive scientific research to ascertain just what benefits they can present to the medical sphere. Virtually all these studies have comprehensively proved that drinking this kind of tea is highly beneficial to your health. To begin with, these leaves come loaded with a considerable amount of antioxidants such beta-carotene as well as ascorbic acid. For those who may perhaps not be in know, these vital compounds carry out their functions by effectively inhibiting free radical formation. Which if left unchecked can trigger extensive cellular damage. This at one go eliminates the potential risks of contracting a wide range of serious problems, which includes cancer. 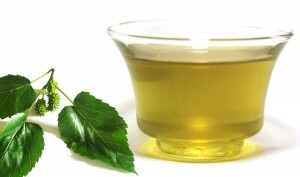 Drinking mulberry leaf tea has also been proven to deal with type 2 diabetes that is triggered by inordinately high levels of glucose (blood sugar). This is due to the remarkably high content of gallic acid that is found in the leaves of the mulberry tree, which is known to significantly lower glucose levels in the bloodstream. Further, these leaves also possess a naturally occurring compound called I-deoxnojimycine that also has especially excellent anti-diabetic properties. The mulberry leaf also possesses exceptional anti-inflammatory attributes. For centuries on end, this leaf has been utilized to cure the kind of inflammation that is triggered by chronic ailments. It carries out this invaluable function by blocking inflammatory agents that are found in the body. This ultimately effectually influences the body’s inflammatory response, and prevents inflammation. Drinking tea made of mulberry leaves has also been linked with substantially reduce the levels of bad cholesterol in the bloodstream. 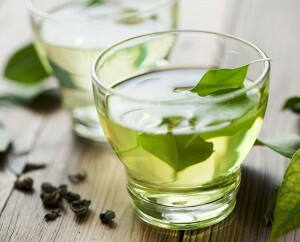 Well, as you can see mulberry leaf tea is undeniably one of the most health-promoting beverage currently in existence. This now brings us to the question you may probably be asking yourself at this point: how to make tea from fresh mulberry leaf in the best way. 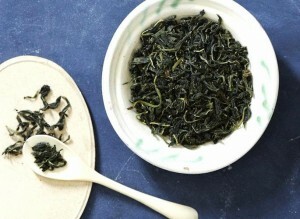 Well, you need not fret, making this kind of tea is remarkably an extremely easy process. First you will have harvest only mature and disease free mulberry leaves. Next you should wash the leaves you have gathered under clean running water to get rid of any dirt or impurities you may have overlooked. After doing this get some of the leaves and cut them into even strips, ideally three centimeters wide. You should then boil some water on a suitable pan. When the water has boiled for a while, immerse the fresh mulberry leaves into it, and let the simmer for at least five minutes. By this time the water should have taken a light green color, and the leaves themselves turned to a brown hue. The tea is now ready. You can proceed to filter out the leaves, and you are ready to go! Did you know that dried mulberry leaves are used to make herbal tea? 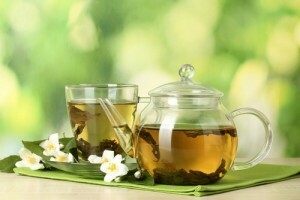 Well, this plant not only makes for nicely flavored tea, but is also very healthy for you. It is interesting to note that the mulberry plant is usually grown as food for silkworms, which use it as raw materials. What makes the mulberry plant healthy and safe is that it occurs naturally. This is why it has compounds such as deoxynojirimycin (abbreviated as DNJ) that is mainly responsible for the mulberry’s antioxidant properties. The leaves of the mulberry plant contain minerals such as zinc, calcium and iron. These vital minerals are required for proper growth. In addition, the leaves contain antioxidants such as beta-carotene and ascorbic acid. Antioxidants work to clean the body by inhibiting damage to body cells caused by free radicals. These radicals are harmful compounds that find their way to the boy cells via inhalation (smoke) and exposure to radiation. 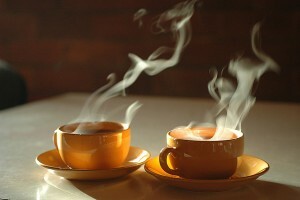 In the long run, herbal mulberry tea can help reduce the chances of a person getting cancer. When blood glucose levels rise beyond a certain threshold, your body becomes diabetic. As you may have well imagined, this undesirable condition is uncomfortable. It is also expensive to treat and limits you on many of life’s comforts. Nonetheless, all is not lost as experimental results indicate that intake of mulberry tea can help reduce your chances of getting type 2 diabetes. Test patients who took mulberry tea had reduced glucose levels after a period of only two hours. A group of individuals who had bad cholesterol levels were each given 280 grams of mulberry leaves that had been ground to powder. They were observed and tested after three months. Another similar experiment was conducted later with different subjects. Both studies indicated that the mulberry powder had positive effects on the subjects as it greatly reduced the cholesterol levels in their blood. You need to know that cholesterol is necessary for normal body functions. However, above a certain level, cholesterol becomes unhealthy. An inflammation of any part of your body can take a toll on you. However, this unwanted condition can be treated using mulberry products. You can take mulberry as a powder or as tea leaves as it inhibits the agents that cause inflammation to your internal organs. The good thing about mulberry is that it eases the pain that is always associated with inflammation. Include mulberry products in your cuisine to change your flavor and improve your health in the process. Many people are familiar with purplish mulberries; however, there are certain mulberry trees that produce wild white mulberry. They grow up to a height of four feet with rough and lighter bark with spreading branches. The flavor of the wild white mulberry is also slightly different with a rare hint of vanilla to its taste. This exotic plant comes packed with various nutritional and health benefits and its popularity is slowly increasing. You can eat mulberries, dry them cook them or simply juice them and you will not be disappointed with the results. They are rich in minerals that are important for your body at all times. They are low in sodium and cholesterol. You can also make your very own healthy mulberry jam. Wild white mulberry is sticky moist when ripe and tastes almost like honey. Wild white mulberry is packed with resveratrol that helps in the prevention of cancer. It tampers with the environment needed for the growth of cancer cells making it impossible for them to flourish. It contains other properties that inhibit tumor cell migration and the spread of tumor cells. It improves plasma glucose levels in the body and reduces the amount of pressure and oxidative stress in the liver. The flavonoids present in wild white mulberry help in controlling the sugar and prevent it from rising. It works well with insulin and will not interfere with sugar levels of a person. They have the ability to lower your blood pressure. This decreases your chances of developing heart diseases. It contains antioxidant properties that enable it to protect the eyes from harmful ultraviolet rays. This will ensure that your eyes are in perfect condition at all times. You can use mulberry juice to grow your hair and blacken it if it is gray. When mulberry juice is applied directly on the head, it will blacken your hair the same way a dye would and help strengthen it as it grows. Wild white mulberry is rich in choline. Choline is very effective in helping the brain carry out its functions effectively. You will have good memory and improved concentration at all times if you consume wild white mulberries. Wild white mulberry contains protein, which is necessary in building up muscles. Protein is a very rare nutrient in fruits. Wild white mulberry is safe for most people and there are no side effects to be reported. However, there is not a lot of information on whether or not it is safe for pregnant and lactating women. This is the reason that people in the medicine field are conducting more research on the fruit and are trying to find ways to incorporate it in the treatment of certain diseases. Mulberry has been grown commercially to cultivate silkworms for centuries. The latest health fad appears to be drinks made from dried mulberry leaves. The Chinese have used the mulberry leaves for their medicinal properties since ancient times. Mulberry was used as a cooling herb to get rid of heat, toxins and other wastes from the body, purifying blood and improving metabolism. Now research studies are pointing out numerous health benefits of mulberry leaves, thanks to the beneficial enzymes and compounds contained within them. ORIGINS: The mulberry plant traces its origins to China, and to some extent Japan and Thailand. It has since been brought over to many different countries, grown, and naturalized. There are many wild varieties of the mulberry, but the cultivated plants have whitish pink colored mulberries. The health benefits of mulberry leaves tea is mainly credited to a naturally occurring compound 1-deoxynojirimycin, DNJ, which has been found to help control blood sugar levels and reduce cholesterol and triglycerides in the body, as well as noteworthy anti-oxidant properties. MINERALS AND ANTI-OXIDANTS: Many people wonder are dry mulberry leaves safe to drink or not? The answer to this is that mulberry leaves are a good source of calcium, iron and zinc; as well as anti-oxidants like ascorbic acid and beta-carotenes. Beta carotene rich foods and drinks have been known to reduce the risk of cancer, and anti-oxidants combat free radical induced cellular damage, due to unhealthy foods, smoke and radiation exposure. CONTROL BLOOD SUGAR: Dried mulberry leaves are rich in gallic acid, and this helps reduce glucose levels in the blood significantly. Research study groups in which some people were given sucrose drinks, some mulberry leaf tea, and some a placebo showed significant reduction in blood sugar levels of the people who took mulberry leaf tea. Scientists have shown that mulberry leaves could be used to both treat and prevent Type 2 Diabetes. LOWER CHOLESTROL: Studies have shown remarkable reduction in triglyceride and cholesterol levels in participants who were given mulberry leaf powder thrice a day for three months. Of course, to reduce your cholesterol levels instantly, you might have to drink a gallon of mulberry leaf drinks, but for a stable and steady decline in your triglyceride levels, drink some dried mulberry leaf tea a few times a day. ANTI-INFLAMMATORY EFFECTS: The anti-inflammatory effects of mulberry leaves have been used in traditional Chinese medicines for centuries. Mulberry leaves have powerful anti-inflammatory properties that can reduce inflammation caused by long term diseases. Scientists have found that mulberry leaves reduce inflammation by inhibiting inflammatory agents in the body, effectively obstructing the body’s inflammatory response. WEIGHT LOSS: DNJ, found within mulberry leaves has been shown to stimulate weight loss. DNJ acts by hindering carbohydrate-digesting enzymes in the intestines, effectively putting a stop to glucose absorption in the body. The starchy foods like rice, potatoes and breads aren’t digested and simply excreted out. Reduced glucose levels also reduce appetite, acting in more than one way to reduce your calorie intake. 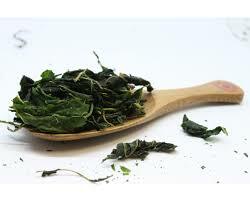 CONCLUSION Drinking dried mulberry leaf tea will make you a stronger and healthier individual. The benefits are many and the drawbacks are few. Bring about that healthy change in your life! Apart from other uses, can you eat white mulberries? The white mulberry, which is also known as Morus Alba happens to be a small to medium sized variety of the mulberry tree that is renowned for its rapid growth. When fully matured this plant can grow to a height of 20 meters. This plant traces its roots from the Northern parts of China, but it is now extensively cultivated in other areas of the globe. Which includes many temperate regions such as the Indian sub-continent, Afghanistan and some parts of Iran. Below is an insight. In recent years, the white mulberry has been introduced to the North American continent, where it is to be found in most urban areas where it is considered an excellent landscaping plant. In this region, it has been widely “hybridized” with the red mulberry that is native to this part of the world. The cultivation of the white mulberry began more than four millennia ago in ancient China, and this trend gradually expanded to other parts of the globe. When it comes to its usage, this plant is primarily cultivated as an ideal feedstock for silkworms. It is also used as food for livestock like cattle and goats in regions where the dry season limits the growth of ground pasture. This tree is typically deciduous when growth in temperate climates, however it tends to be evergreen when grown in areas that experience tropical climate. The male and female flowers of the white flower are usually found on separate trees , but it in some cases they can be found on a single tree. The fruit of this plant varies in size from 1 cm to 2.5 cm in length. In the wild the mulberry fruit usually manifests in a purple color, while that found on cultivated trees color ranges from pink to white. This now brings us to the question you may probably be asking yourself at this moment: Can you eat white mulberries? Well not to put a fine point to it, this fruit is very edible. Nevertheless, it at the same time possesses a rather bland taste. Most especially when it is compared with the red and black mulberries, which have a rich and full flavor. As would be expected this has not endeared this fruit with many people. The white mulberry is usually eaten in the dried form, and in some occasions, it is used to produce wine. Apart from this, the white mulberry fruit has been extensively utilized for medicinal purposes in traditionally Chinese medicine. Where it used is used to cure constipation, diabetes, the tonification of blood and treating the premature graying of hair. The bark of this tree is also used to cure persistent bouts of coughing, wheezing, edema as well as promoting urination. Additionally, this bark is usually to cure fever, headaches, red and sore eyes. The root bark of the white mulberry tree has been used for a quite a considerable period of time in many Asiatic nations to fight against food poisoning microorganisms due to its exceptional antibacterial properties.